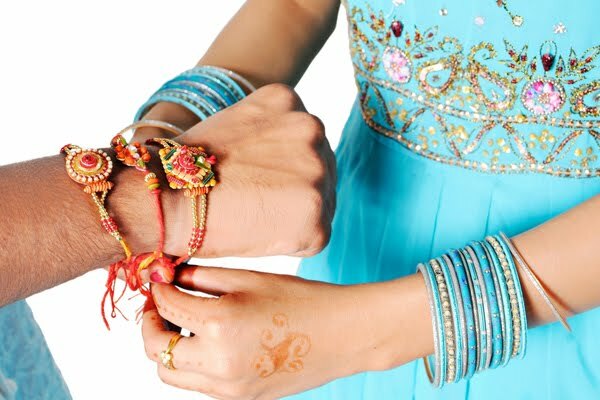 Raksha Bandhan,have raksha bandhan names also known as simply Rakhi is a Hindu secular and religious festival which is celebrated in many areas of the Indian sub-continent. The festival celebrates the love & duty between brothers & sisters.Raksha Bandhan which translates to bond protection’ is normally observed during the full moon day of Shravana; the Hindu lunisolar calendar. This full moon day according to the Gregorian calendar falls in August. Raksha Bandhan is uniquely celebrated in different regions in India. The festival assumes different celebrations and different names, but whatever the name or tradition is; it has one thing in common, the tying of the sacred Rakhi thread. Different names of Raksha Bandhan in different Indian states. Raksha Bandhan is known as Nariyal Purnima by people who live in the Western Ghats, the coastal region of India. The community relies on fishing activities for their livelihood hence they pray to the god of the sea, Lord Varuna to cast fair winds during the impending monsoon period. Lord Varuna is usually offered nariyal (coconuts) to appease him. Therefore, in his honour garlands of flowers are thrown into the water and pleasingly bejewelled boats also carry lit oil lamps go out of the sea. Nariyal Purnima, also known as the Coconut Full Moon, is celebrated with great merriment in many states of western India. Nariyal Purnima falls in the month of Shravana Purnima, which symbolises the end of monsoon season, and marks the beginning of the new fishing season for the fishermen as they avoid going into waters before this. Post-festival, monsoon starts to recede; the sky becomes clear and the sea calm, as the tides to recede. All this makes fishing in the seas easy and safe. Therefore, the festival is very significant for the fishing community which is completely dependent on the sea for its livelihood. 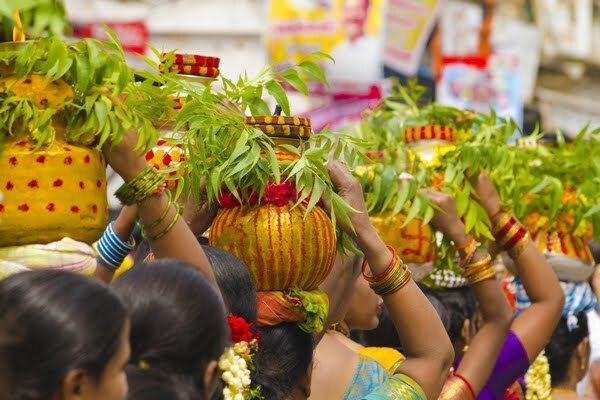 On this occasion, the sea god Varuna is worshipped and his blessings are sought; people offer coconuts to the sea as a symbol of thanksgiving. 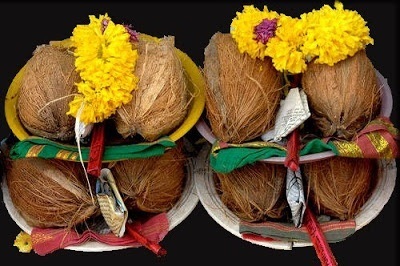 Hence, the festival is named Nariyal Purnima or the 'coconut full moon'. It is mainly celebrated in the coastal areas of Maharashtra, Gujarat and Goa by the fishing community. Avani Avittam also was known as 'Upakramam' is a significant ritual for Brahmin community in Kerala and Tamil Nadu. It is observed on the 'Shravan Purnima' (full moon day) of the traditional Hindu calendar. It is a kind of Rakhi that is practised by people of southern Indian states of Kerala, Maharashtra, Tamil Nadu, Andhra Pradesh and parts of Orissa. Brahmins of this region observe the day by changing their holy thread i.e. Janeu, immersing themselves in the holy water body and thereafter praying for the forgiveness of their sins in the preceding year. Upakramam means the beginning. On this day the Yajurvedis begin to read Yajur Veda for next six months. The day is auspicious because as per Indian mythology Lord Vishnu was incarnated as Lord Hayagriva, the lord of knowledge, the one who restored the Vedas to Brahma. 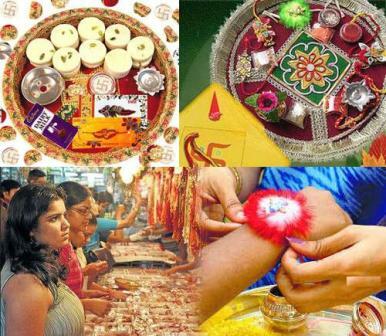 Raksha Bandhan is popularly known as Rakhi Purnima in the North West Indian states such as Uttar Pradesh. Here, the practice focuses mainly on the bond between siblings. The sisters perform various Rakhi customs. They apply an arti to the brother, apply a tika of chawal and roli on his forehead & then tie a sacred thread on his wrist. 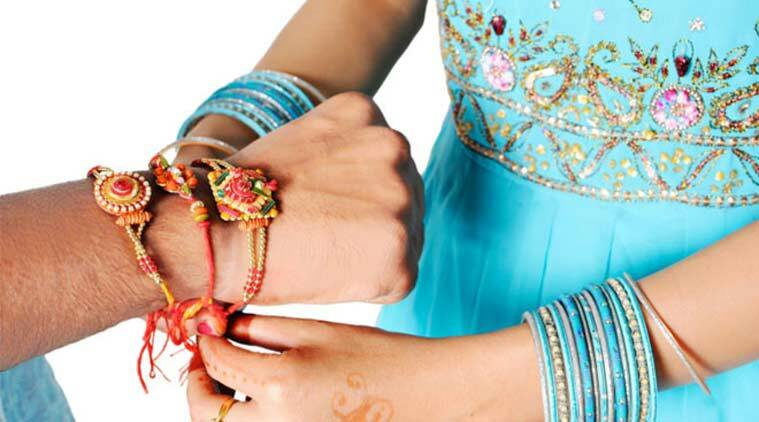 Pavitropana is known as Raksha Bandhan in the state of Gujarat. People in this region perform grand puja as they worship Lord Shiva, the three-eyed god. This is also the day that the prayers they have been doing all through the year is concluded.